It has occurred to me today that, if the entire world were composed of people with the sensibilities, personalities and friendliness of the Dutch, we’d probably not be flying airplanes into each other’s buildings. Yeah we’d have to say our G’s like static through a large microphone, but we’d be happier as a race. Life in Orange just seems….happy. 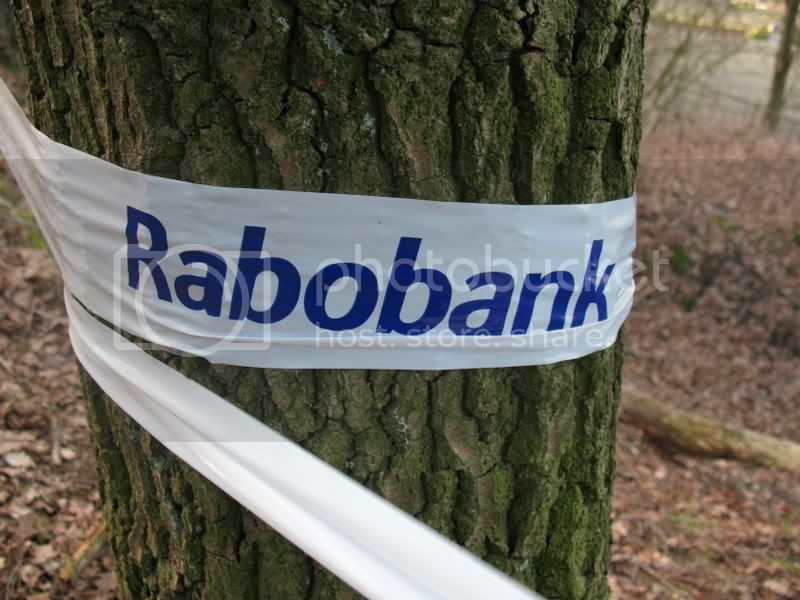 Today my friends, Cyclocross Bakel, sponsored by Rabobank (of course). This was, bar none, the most beautiful course I have EVER blessed a set of tires on in a decade or more of crossing. I’ll get to that in a second and all the day’s events in a moment. On a beautifully partly cloudy to clear day (about 50 degrees) we bombed through these tiny cities to get to Bakel. You literally string a trip in Europe by going through the meticulously marked signs…from City to City all the way from one country to another…Blauberg, Herselt, Geel, Meijer, Bakel…it all links together in such a simple and clearly marked way, it’s mad. The US will NEVER get this. I digress. So, we get to Bakel and drive into the tiny and beautiful village. We hear the sound of the race on the speakers careening off buildings and in the trees, but can’t find the race! 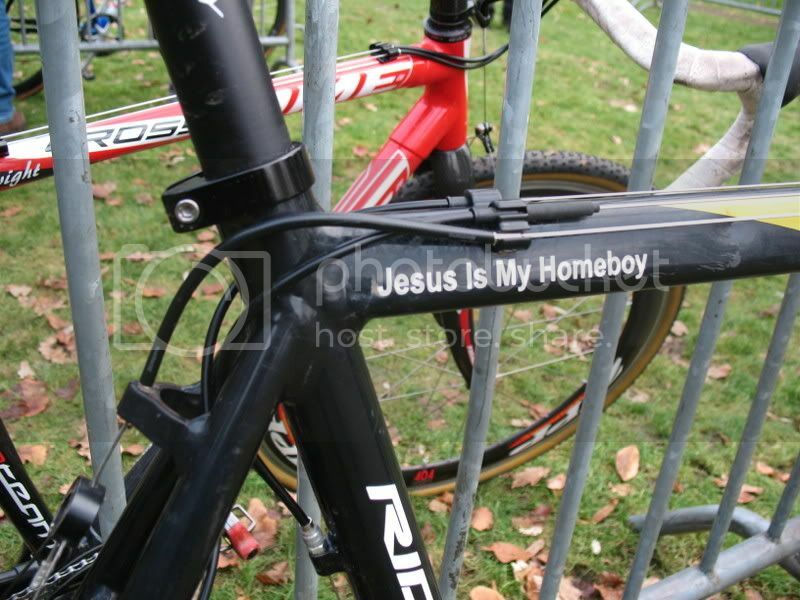 We see a group of kids bombing down the street on ‘cross bikes and flag one down. Boy: “Ah! “(points down the cobbled street). A Euro disco flyover, beeatches! This course is gonna be sick. 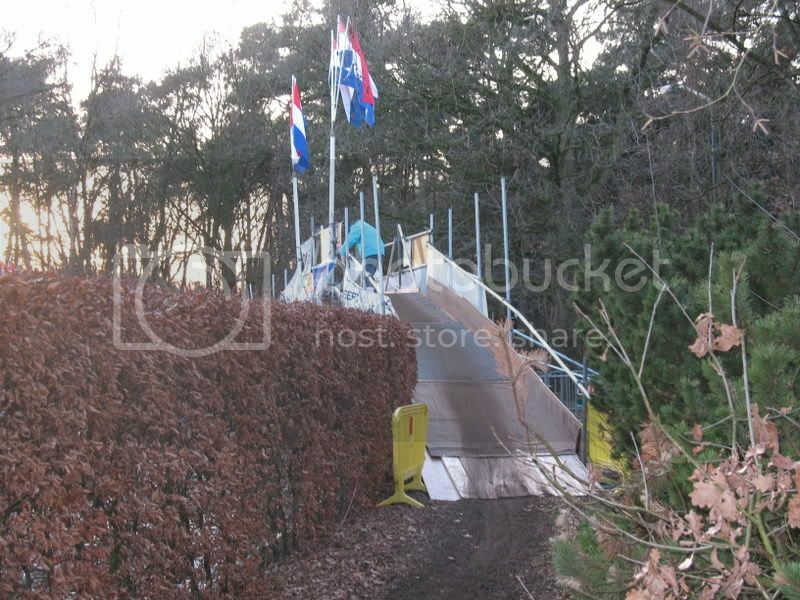 Right near the flyover is a set of speed barriers as well….all on manicured grass. The Dutch champ is a clearly young fast kid looking for glory and contracts in his future. 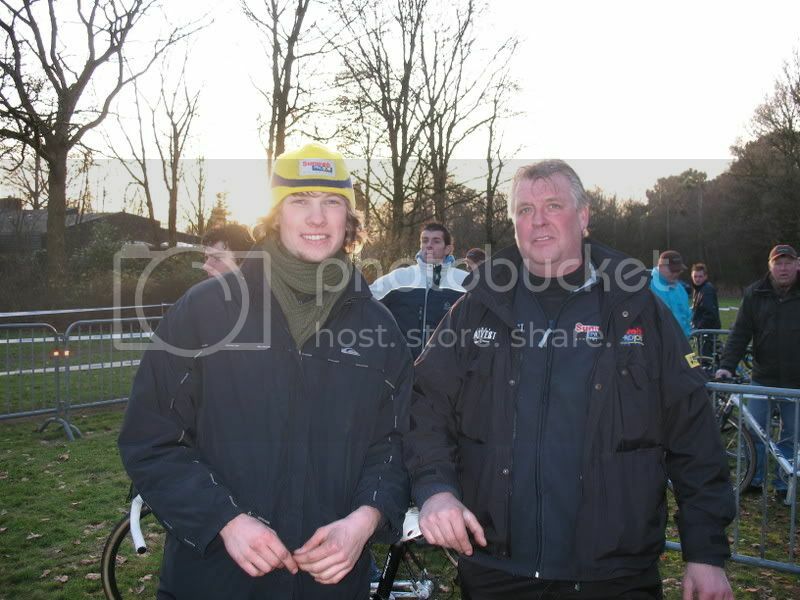 Oh and a BUNCH of juniors just like said Dutch National Champ who are SO PRO it is mind boggling. Oh, and they’re all 6’2 Lars Boom types with 42” femurs. We wait for the juniors to finish and bomb the course to warm up. 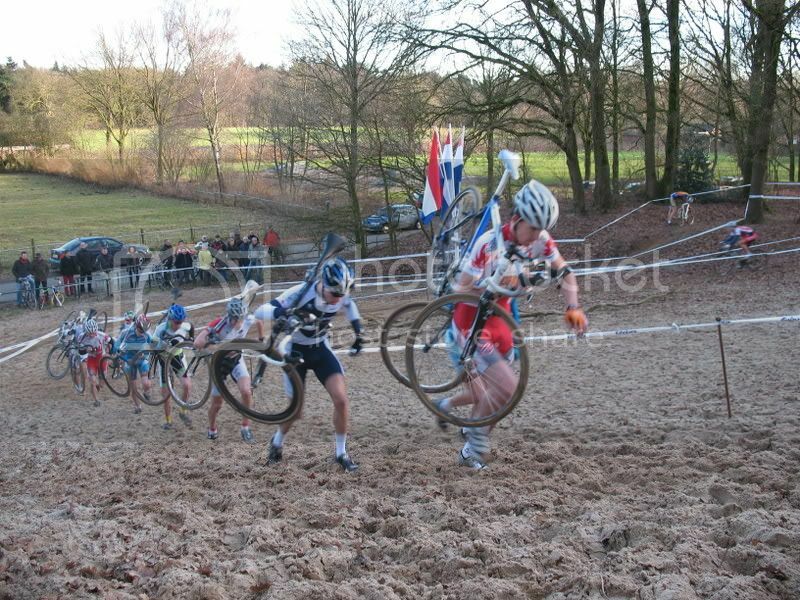 We line up and they call up the first 10 people, then 20 people, then 30 people….all ‘in the points' in this Dutch Series, and at the very end he says “Und dee reste!” and a remaining 15 or so flood in, US style. I weasel a wheel as far up as I can but KP and are back of the bus today. Whistle blows and it is a HARD start. Like a sprint at the end of a race. 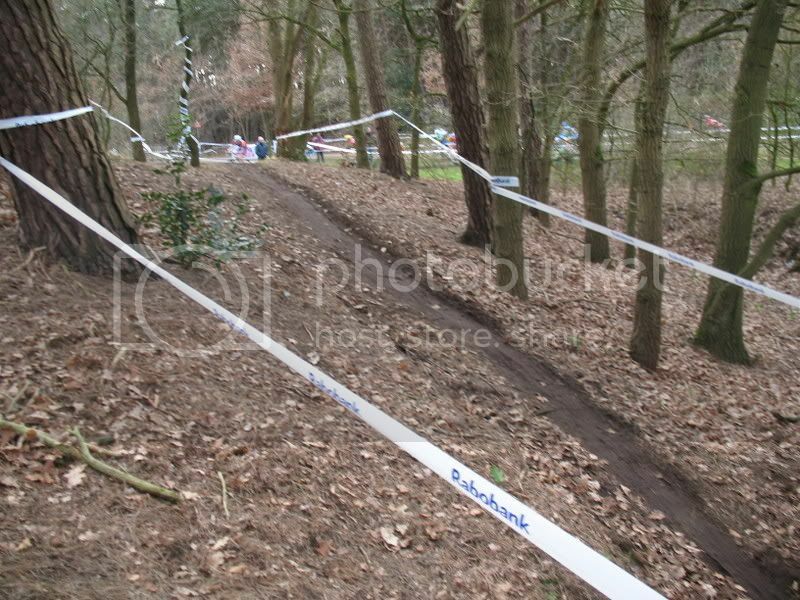 I finagle my way up to the 20’s in the straightaway with a hard punch and then we are into a grass field where we do a 180 and com back towards the start finish before a hard left apex diving us into the woods. We twist and turn and comb the single-track until it opens up into a large decent downhill towards a full-on beach sand hill. 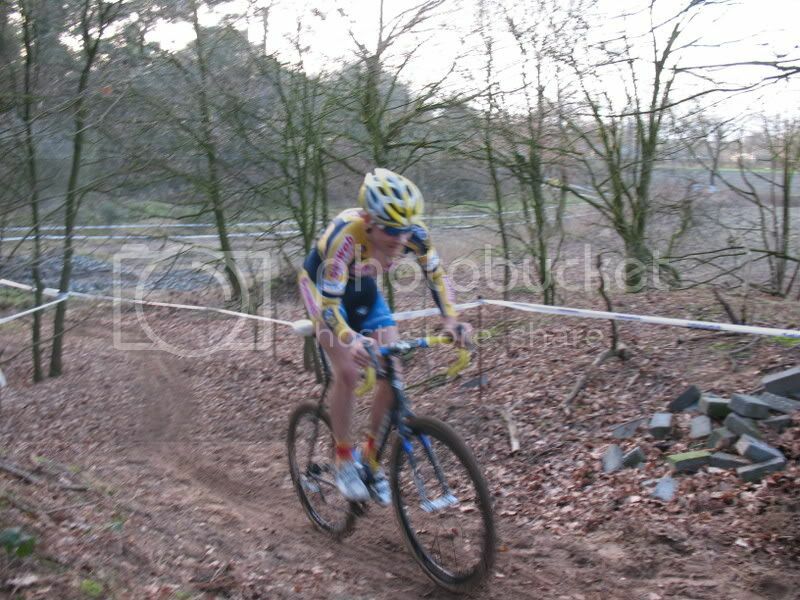 We have to navigate that downhill at speed and it apexes to the right directly back up the sand (seated POWER needed). Then, more single-track occurs once out of the sand eventually flipping and bringing you BACK towards the beach where they send you UP it on an epic, leg sapping run up! You crest the run up (see Brandon's video below) and remount and dive back into single track eventually spilling you out of the woods, up and over the fly-over, the speed barriers and finally back up the start finish straightaway. ...and bridges to me again. He drops it into the 11t and says c’mon! On my wheel! and leverages his time trialing to bring us back to the top guys…but that sapped a LOT from me. 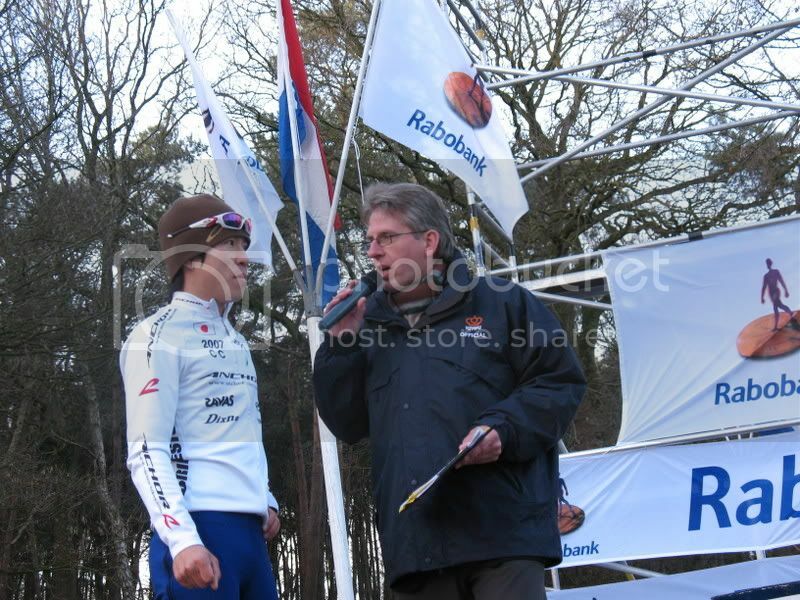 The Dutch announcer was great…LITERALLY in the woods with a wireless mic announcing the leaders (e.g. top 20) and says Kurt’s name and then mine at the end. I’m like, crap! We’re in the top 20! So we continue to punch it and battle. KP gets a good turn and is off alone at about 10 seconds. I am battling with these 2 dudes who won’t get off my wheel (also know as smart bike racers). I attack and one comes with and the other pops. 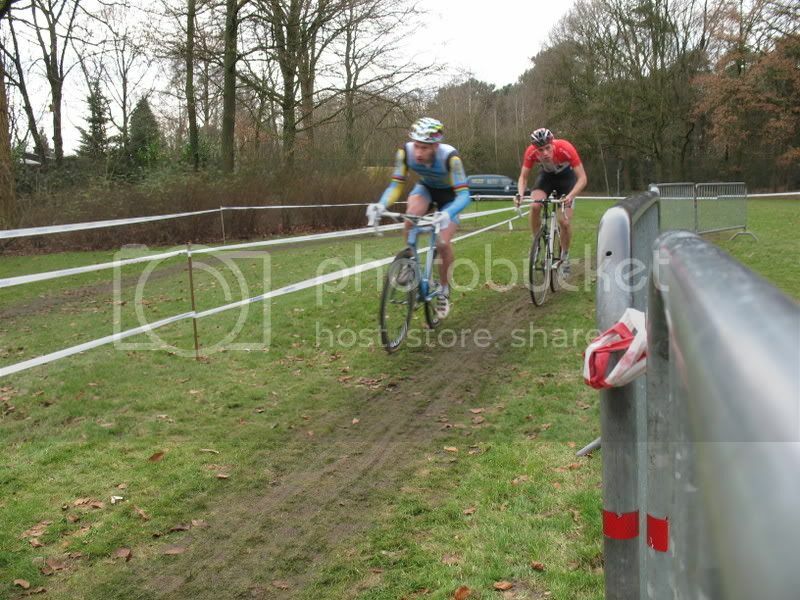 The guy who follows sits on me and tries on the laatste ronde to attack through a corner and f’s up by bobbling. He bridges back and sits on me again. I can’t shake him and he beats me on the run up (which is usually my strength) and was enough to stay away from me. Kurt: 16th, Wheel Sucker Dutchman 17th, Me: 18th. And for the second day in the row, we’re in the money! HA! KP and I scored 5 Euros! HA! Oh, AND got our 5 Euros back for returning the number plate. FREE RACE! 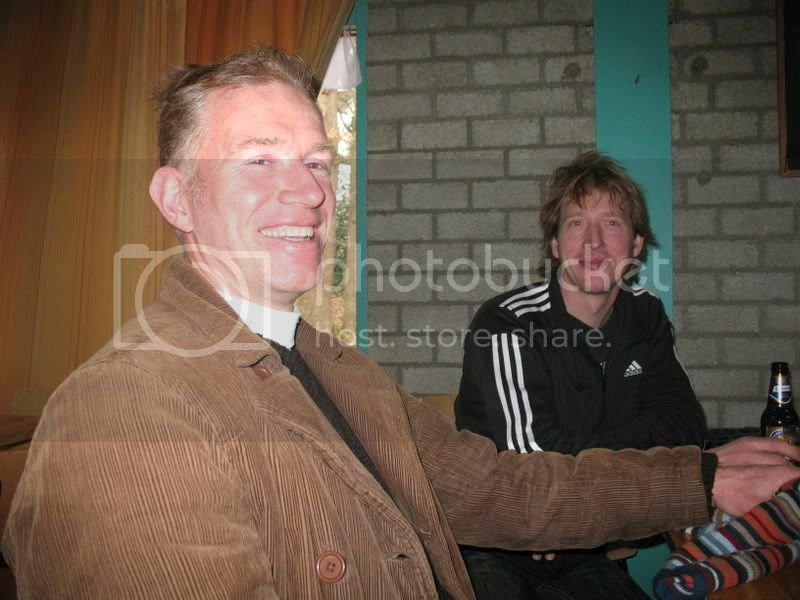 Coolest guy and pleaded for us to come to the World Cup next weekend to meet Richard Groenendaal…my man! Dubba turned himself inside out but rode way more ‘heads up’ and straight faced today. Clearly on a better day…but in an extremely tougher and larger field. Lap after lap he battled with local hard men and pulled in a beautifully earned 18th. The Japanese National Champion Keiichi Tsujiura took second. We packed up and drive back and came across a great restaurant were we piled in Tapas and had some Leffe Buin. Yum. Well earned. Now home, we are winding down and I am about to call home (for the 2nd time today to hear the voices of my beautiful family). So that is it folks! Race No. 2 in the books and I am completely satisfied. 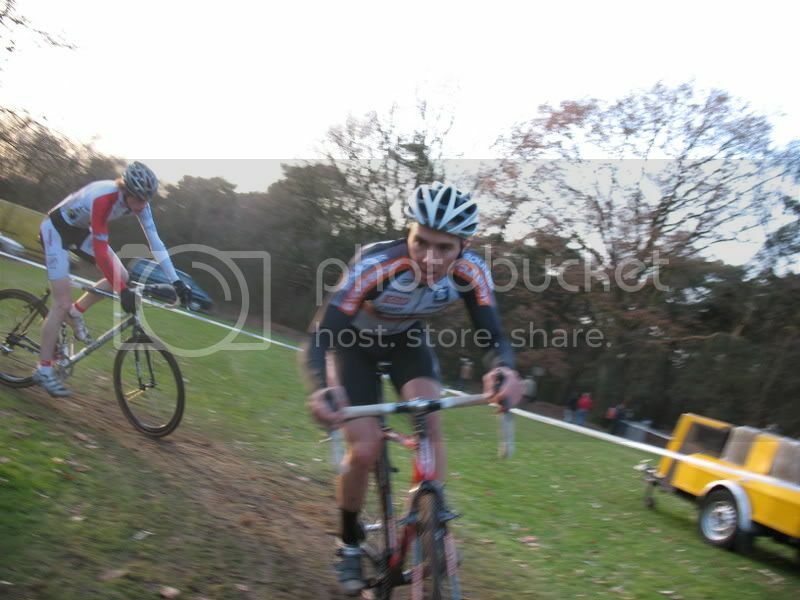 Great course, I did my best and battled back through more than half the field of fast guys. 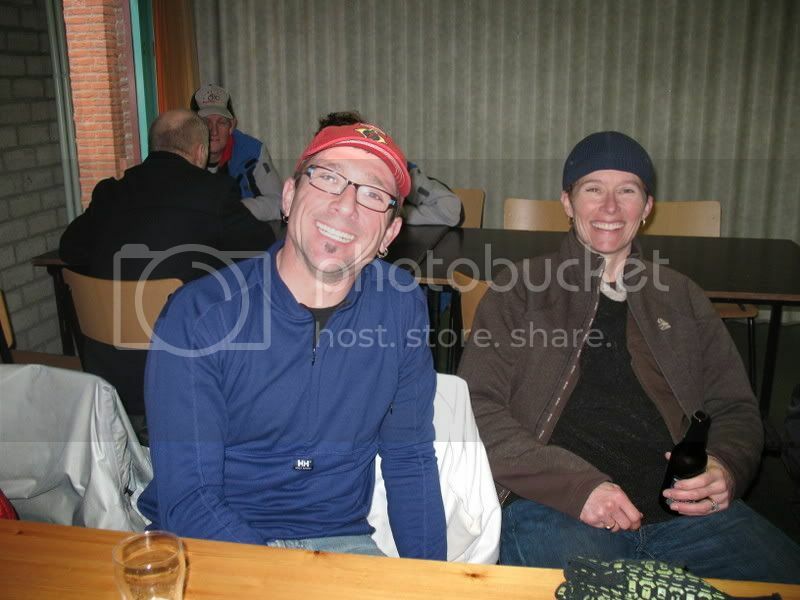 -The Vermarc Clothing 2008 sponsor party….including Quick Step, Sun Job….and more. 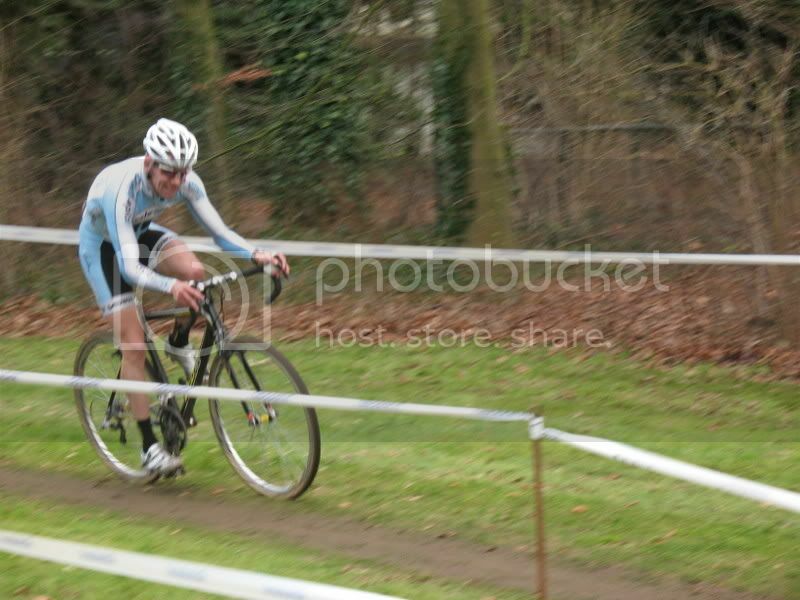 More photos from today can be found here on my PhotoBucket site. Living the dream folks. You will DO THIS next year…. #$%& Sick! Savoring every word. Live it dude. maybe i missed something, but why are you wearing a black helmet with white shoes and gloves. I feel like the world was just turned upside down. Jeez Gads! This keeps getting better and better. Love to see you are living it to the fullest. Racing, Drinking, mixing in with the locals, it can't get any better. Thanks for feeding the addiction brudda! 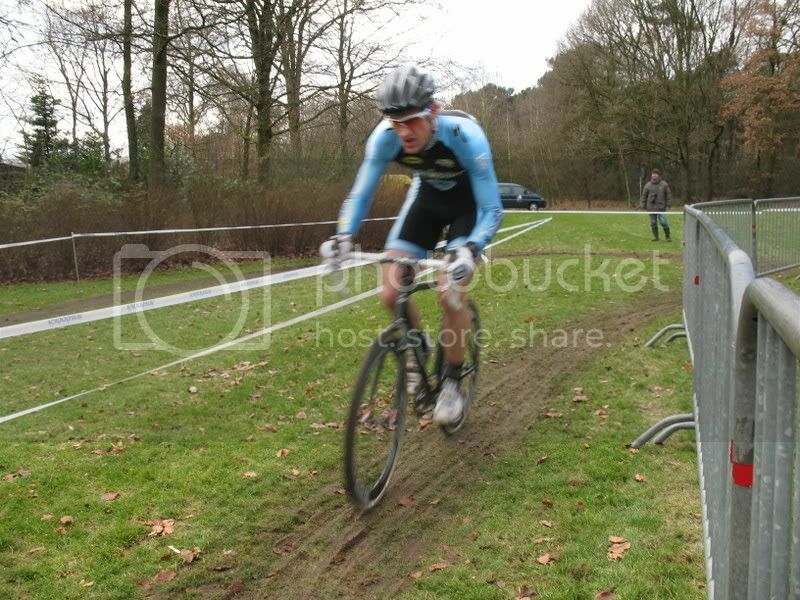 The wheels are now turning for 2009...WK are in Hoogerhide next year....marking it on the board. Thanks SO much for the words! I am doing my best to throw down, digger deeper than teh entire season it seems. It's VERY motivating to be here even after a whole season of racing. Yes, they are fast, guys. I will call you this week. 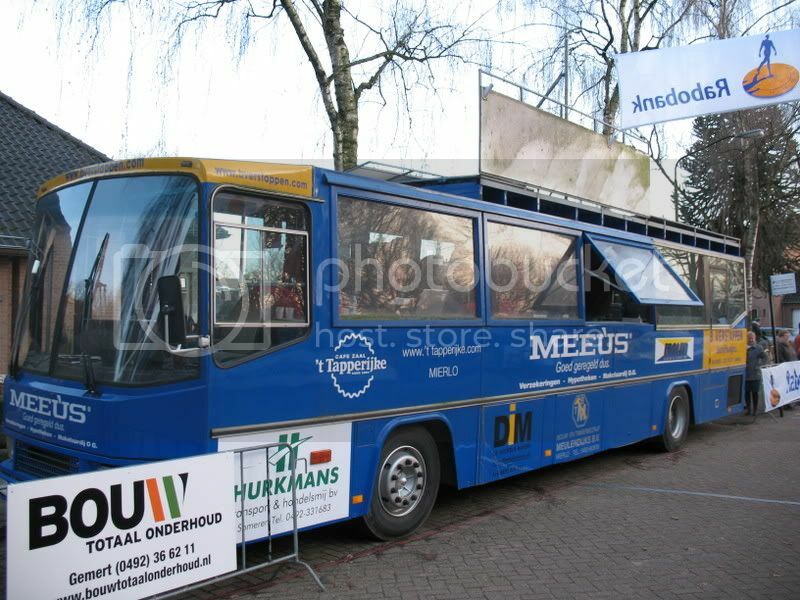 We are in Blauberg, Herselt....on the opposite side of Brussels (e.g. the East) from Brugge. Dude, if specialized didn't recall my 2D, i'd have been rocking the matching one but they gave me that black decible to hold me over. 7 out of 10 style points. That is some amazing stuff. Huge congrats and thanks for keeping it online (big job, I know) so we can live it vicariously. You need to negotiate a commish from the people that organize the Masters World's tours. I think they'll see biz spike next year. The detailed course descriptions are much appreciated. I'd like to see promoters in the US mix things up more. Hi Pal, So happy to see all going so well in your dream trip! We're all pulling for you here at home. Cindi so excitied a caught a little tear in her eye for her baby brother! By the way, while in Amsterdam, please stop in the Ann Frank House and take a picture of the beautiful delft blue toilet. Dad & I took the wonderful tour and I know, the history buff you are, you will enjoy it. Take care of yourself. Love, Mom, Dad, Cindi, Tom, Susan, Gary, Beth, David and all those nieces and nephews. I sent your comments to all my dutch friends. Glad the trip is going so well. Keep having fun!!! Fashion over function man! Ha Ha! hope you're having a blast over there. 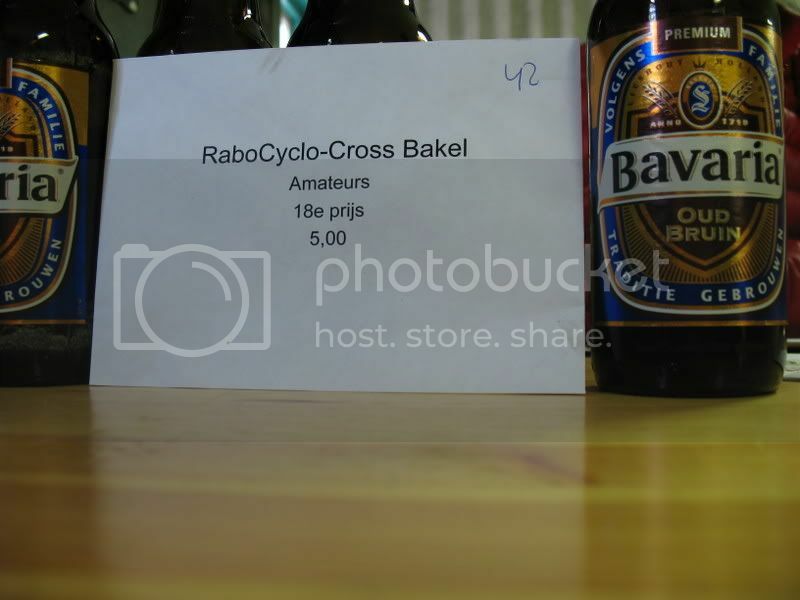 Also make sure Baker shows you the Cambrinus pub (in Brugge). I'm sure he'll know which beers to hook you up with. I'm enjoying the blog, Greg. I miss Blauberg and Belgium so much! Glad you're having such a great time. If you love Bakel, try Zeddam!